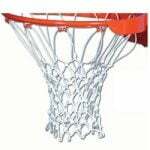 Heavy metal reversable Basketball/Netball backstop is ideal where both sports are played on the same court. Heavy duty backstop engineered certified for cyclone conditions so suitable for all regions around Australia such as council parks, prisons, schools and outdoor centres. Tested and certified for all Queensland State Schools and Colleges. Hot dipped galvanised for long life. 50mm thick long life fibreglass backboard so will not warp or rot over time. Double rim heavy duty goal. 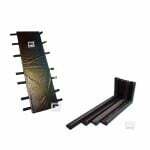 Supplied with a in-ground sleeve and can be padlocked in position if required. Standard 2400mm projection to suit regulation netball and basketball courts but can be modified with a shorter projection if required thanks to the “nose cone” design. Simply cut back the projection arm on site if required. Swivels 180 degrees aided by the Teflon disc for smooth and easy rotation to bring netball into play. Netball ring can be offset such as 120 degrees if basketball backboard cannot be rotated 180 degrees. 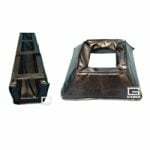 Designed to our specifications which are in excess of industry norm and manufactured by FIBA certified partner Gared Sports. 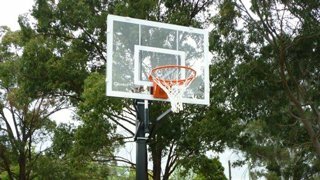 Medium range basketball backstop is a cost effective engineered certified heavy duty design suitable for schools, clubs, prisons and serious backyard courts. Non-reversible fixed installation, directly installed into the footing with a 1500mm projection. Supplied flat packed for ease of transport. 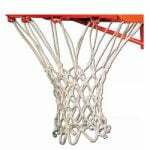 Heavy duty steel members that support the structure allows the goal to be mounted directly through the backboard for maximum strength, while the backboard is fully supported with Z arm braces to prevent deflection and offer consistent ball rebound. 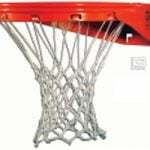 Designed to our specifications which are in excess of industry norm and manufactured by FIBA partner Gared Sports. 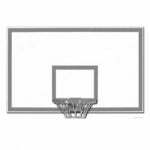 Premier Residential Basketball Backstop Range are high quality, heavy duty series of fixed basketball backstops designed to provide high quality use, easy to use height adjustable glass backboards with spring loaded rings. Ideal for schools, residential homes or community centres. 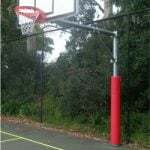 They are the most durable and advanced height adjustable systems available in the South Pacific, have engineer certifications to local standards and are made by FIBA certified partner Gared Sports. 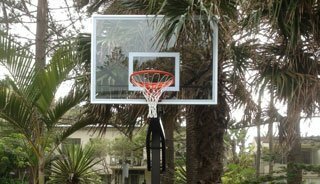 The baby in the range, the Dominator is a high-quality shooting station featuring a 1200mm x 910mm transparent backboard and fully height adjustable. 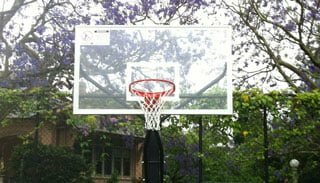 Ideal for backyard courts and primary schools. 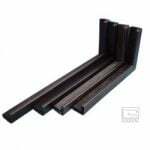 A heavy duty 100mm square post is set directly into the footing offering a rigid shooting platform. For more information click here. The teenager in the range features a 1525mm x 1050mm armoured glass backboard and is fully height adjustable. Ideal for the more serious backyard court and primary schools. Features our direct ring mount like the systems in an international stadium. There is a full 900mm from the face of the backboard to the 125mm wide upright. Attached via a base plate and rag bolt system into a solid footing. For more information click here. The big boy in the range featuring a full size 1800mm x 1050mm armoured glass backboard and is fully height adjustable. Ideal for the real serious backyard courts, schools and clubs. Features our direct ring mount like the systems in an international stadium. There is a full 1200mm from the face of the backboard to the 150mm wide upright. Just like the Dominator and Ultra, the height can be easily adjusted via the worm actuator system. Attached via a base plate and rag bolt system into a solid footing. For more information click here. 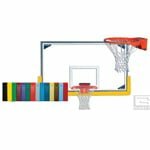 Freestanding, demountable basketball backstops, designed specifically for 3x3 courts where you need a system that can be shipped, put up in a few minutes, played and dunked on and then taken away. They can feature a full size or reduced size backboard, positive lock goal and is fully demountable so can transport flat packed. Easy to assemble and requires local ballast. 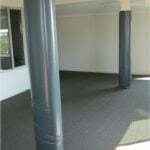 Please contact us with more information on what you require so we can offer the most suitable model. For more information click here. HiTech Sports strongly recommends using sports equipment that is designed to be safe. 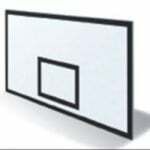 We have a complete and innovative range of backboard, post and wall padding. HiTech Sports also has an equipment inspection programme to help keep your basketball backstops safe and in good working order. We supply and install Powergame Sports Surface for the best all weather proof, player friendly outdoor sports surface with no maintenance ever required and backed by a 15 year manufacturer’s warranty. Only outdoor surface certified by FIBA for outdoor basketball. 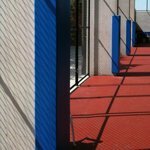 Ideal for tournaments, clubs, schools, parks and home courts. Please go to our Outdoor Surfaces page for more information. HiTech Sports has more related products available. 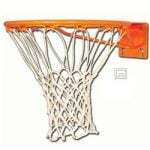 Go to: Indoor Basketball, Stadia, Curtains, Scoreboards for more information. Please note, specifications may change without notice. 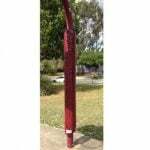 PADDING We can supply post pads to any size to suit any basketball tower as well as other hazards such as light poles, columns, walls etc. 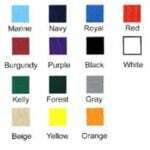 Sixteen colours to choose from. PPBB1 Stadia cylindrical Basketball Pads. 1800mm high, 320mm OD, 120mm ID.